Scott Tolleson collectors will not want to miss out on this Kidrobot exclusive colorway of his new 7” Labbit, Pipken! The Blot loves this preppy take on Frank Kozik’s classic Labbit platform. 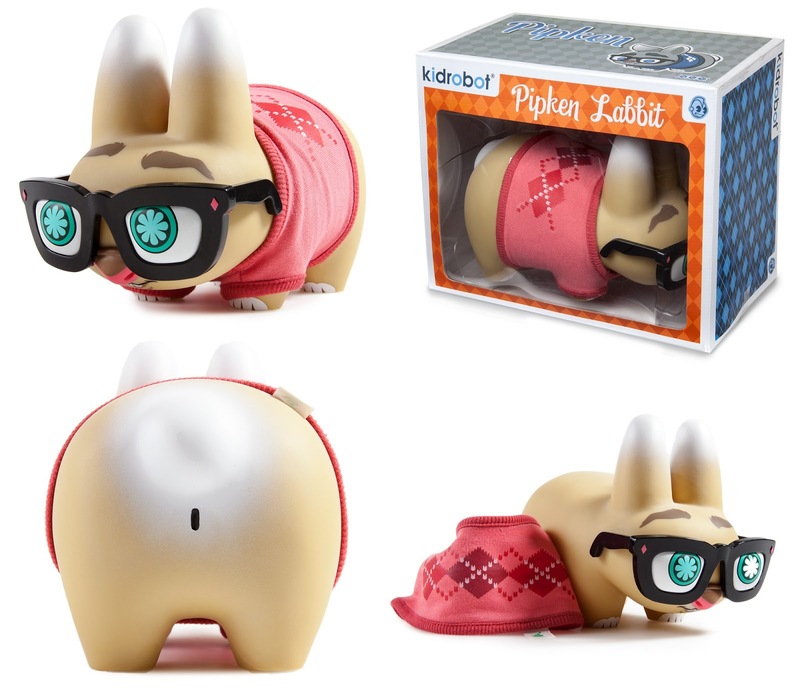 The Pipken Labbit shows off its unique geeky style with removable glasses and an iconic Tolleson red argyle sweater. This KR exclusive red colorway is limited to just 200 pieces and retails for just $59.99. Pick one up today at Kidrobot.com! And if you haven’t purchased the standard Blue Edition colorway yet, some are still available at Entertainment Earth for $49.99 here.